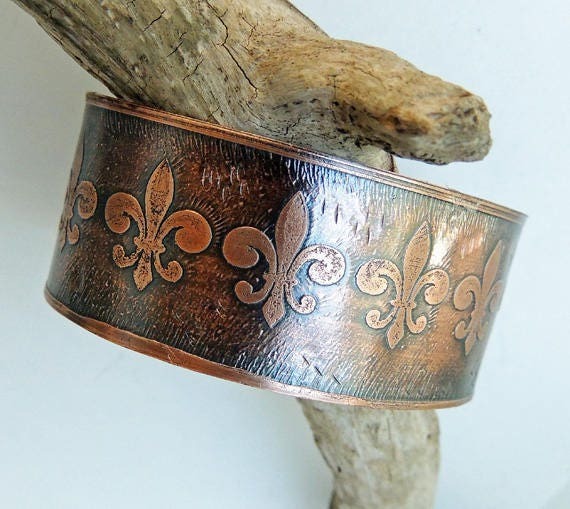 This is my latest cuff which has been etched with a Fleur de Lis pattern. It is one inch wide and 6 inches long, a medium size. 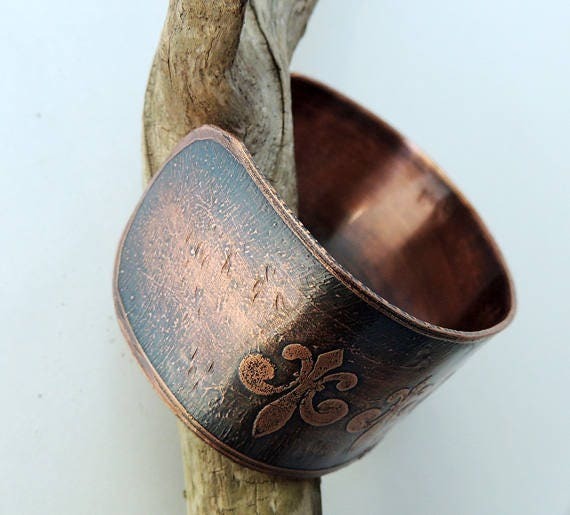 I have coated this cuff with a protect lacquer to prevent tarnishing.